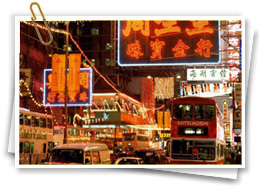 Here are many festivals throughout the year, and whenever you visit Hong Kong, you may have a good chance to experience the unique culture of Hong Kong. 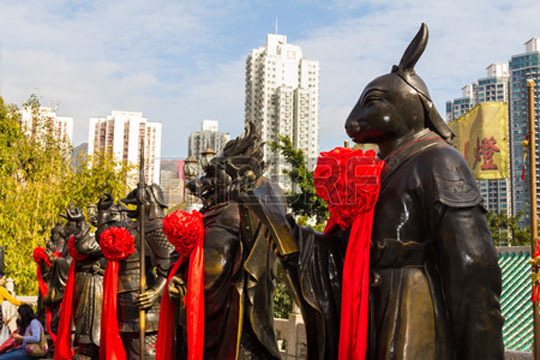 Lion and dragon dances, fireworks, festive feasting, carnivals and parades come together to create the festive atmosphere. Large and very active Taoist Temple complex with several halls and temples and a garden. Mixes Buddhism, Confucianism and Taoism. Worshippers worship Wong Tai Sin. 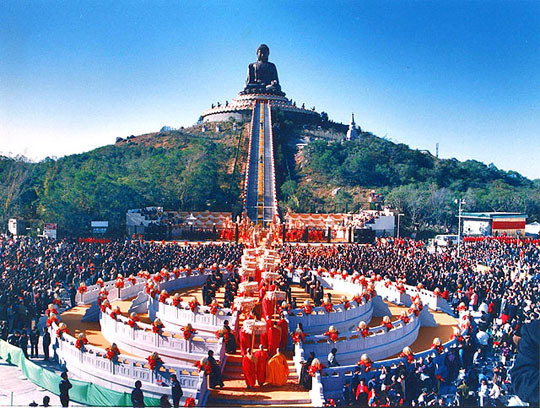 The Taoist organization that manages the temple runs several charities including a clinic. Convenient travel. 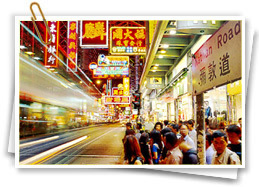 It is only about 200 meters from the Wong Tai Sin MTR station. 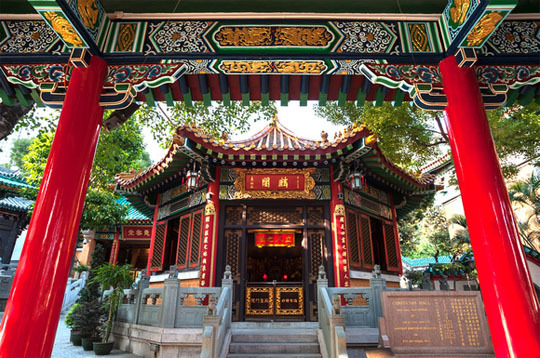 The Wong Tai Sin (黃大仙) Temple is a popular Taoist temple dedicated to Chinese religions including Buddhism and Confucianism. The founder of the temple said that the immortal Wong Tai Sin told him to build a temple at the site and also told him where to build structures and what to name them. 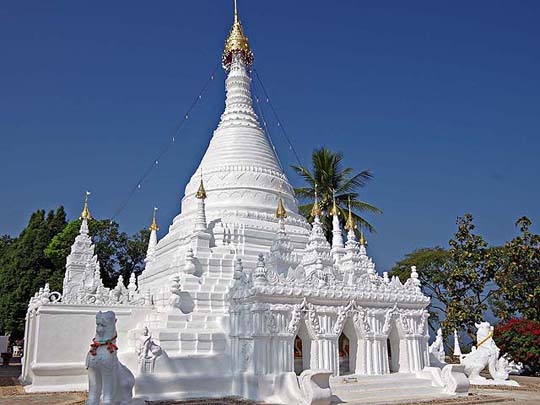 He began to build the temple complex in 1921. There are several halls, temples and pavilions including the Three Saints Hall, the Bronze Pavilion that excludes women and girls, the Archives Hall, the Yue Hing Shrine that has a Buddha, a Confucian hall for the worship of Confucius, and a colorful garden called the Good Wish Garden. The complex has a library for Chinese religious literature. At times, there are hundreds of fortune tellers practicing at the site. People go there to get a prediction of their future, pray for happiness and worship the gods. The temple complex is at the base of Mount Kowloon. 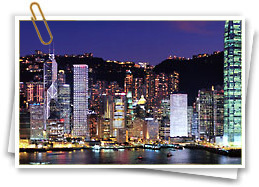 According to the founder of the temple, the temple site is 3,600 paces from a pier in Kowloon. There are shops nearby where people can buy joss sticks, incense, and other things. 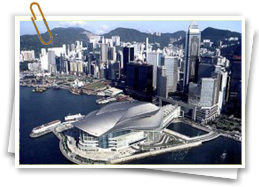 The temple organization has a strong influence among some of the Chinese population in Hong Kong. It is said that a poor boy named Wong Cho Ping who lived in Zhejiang Province around the year 330 AD experienced hunger and poverty when he was very small. At the age of 8, he became a shepherd boy. According to his Autobiography that is published by the temple, Wong Cho Ping said that when he was 15, he was visited by a fairy who showed him how to refine the mineral cinnabar to make a drug that made him immortal. He lived in a cave. He transformed white rocks into sheep when his brother came to visit him when he was 55. According to the Autobiography, his brother also reached enlightenment and became an immortal. When the Qing Dynasty fell in 1912, the Chinese people lost their god because they worshipped the emperors as deities. The Chinese people needed a religion to replace the old one of emperor worship. In 1915, Leung Renyan (梁仁庵) came to Hong Kong and set up a Chinese medicine shop and put a Taoist altar in the back of it where people could worship. In 1918, his shop was destroyed by fire. 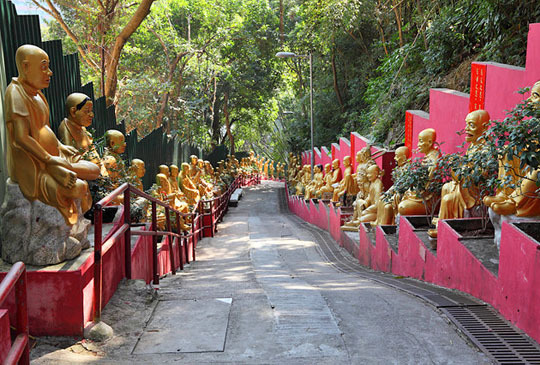 In 1921, Leung said that Wong Tai Sin told him to build a new shrine at the present site at the foot of Lion Rock Mountain in Kowloon. 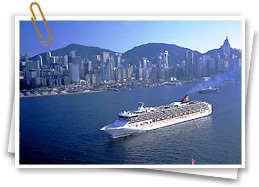 It is 3,600 paces from the Kowloon pier. It has became a popular temple for Taoists. Walk around and take pictures. Location: In Kowloon. On Lung Cheung Road. MTR Train: MTR Wong Tai Sin Station Exit B2. The station is only about 200 meters away from the complex. Taxi: In Chinese, the temple's name is written like this: 黃大仙祠. You can show the name to the taxi driver. Best Time to Visit: There is a lot of rain in the summer. Hong Kong is still fairly warm and is drier in October and November. Fee: There isn't a fee to get in. But there are small fees for several halls and the Good Wish Garden. For the services of the fortune tellers or other people, there might be a fee. 7 a.m. to about 5:30 p.m. The garden is open Tuesdays through Sundays from 9 a.m. to 4 p.m. The temple is only about a kilometer and a half away from Kowloon Walled City Park. That is where a large crowded complex of flats used to be. There is now a park there where people can learn a little about the history of that interesting place in Hong Kong's history. There is another older Taoist temple called the Man Mo Temple on 124 Hollywood Road. It is dedicated to Man who is a god of literature and Mo who is a god of war.